With Spider-Man PS4 now launched on the PS4 and PS4 Pro, many fans are eager to begin playing through the story. With hype for the game undoubtedly continuing well after launch, Spider-Man PS4 will be a staple on Insomniac games for years to come. 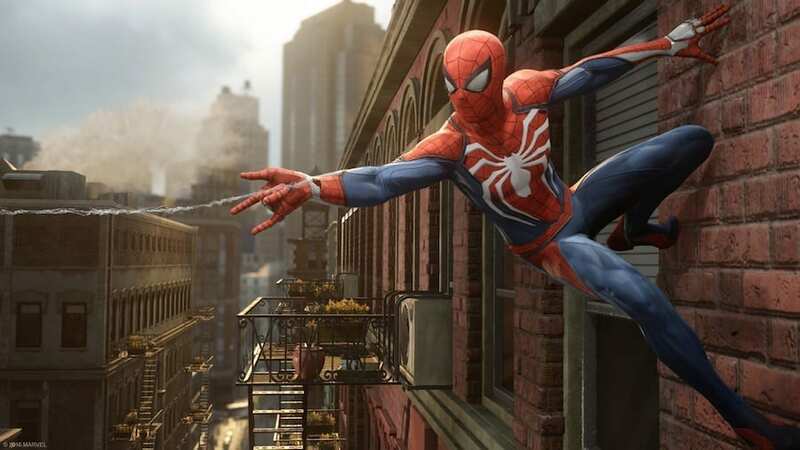 Here are five new features Spider-Man PS4 contains. Arguably the most iconic feature of Spider-Man is his red and blue suit, which is recognised across the world. Spider-Man PS4 is adding to this by introducing a variety of new suits for players to unlock across the game. As well as adding cosmetic value, most of these suits also hold unique powers once unlocked. For example, the Spider-Punk suit ( which is a pre-order bonus) has the ability to send enemies flying with an AOE attack, whilst the classic suit has the power to make Spider-Man’s fists glow and do extra damage. These powers and abilities are also interchangeable, meaning you can use your favourite power with any of the suits you unlock throughout your playthrough. Being a crucial part of the Spider-Man universe throughout comics and the Ramey movies, Mary Jane was almost certainly going to show up in Spider-Man PS4. While this is true, Mary Jane will also have a much bigger contribution to the game, being a playable character at some points in the games story. It has been confirmed that Mary Jane will have missions dedicated to her character, with unique gameplay mechanics. It is likely that the majority of Mary Jane’s play time will contain stealth sequences and puzzles as opposed to combat. This could serve as a break between the intense fights Spider-Man and the many villains will have. Launching as a PlayStation 4 exclusive, Spider-Man PS4 will naturally have one of the best graphics to date on a Spider-Man game. The game will be even more advanced on the PS4 pro, and coupled with a 4K TV will look stunning with dynamic 4k resolution. Insomniac have also added motion blur software and DOF to ensure the movement in the game looks realistic and crisp. Past Spider-Man games have nailed web slinging, although throughout the years there have been consistent flaws that fans have become well acquainted with. One such flaw was the “helicopter dilemma”, which pointed out that when at peak altitude in the open world of New York, Spider-Man would continue to swing on webs when there was clearly nothing above for him to latch on to. This bred the popular saying that he was simply swinging on a helicopter out of sight, as opposed to breaking the immersion. Insomniac have fixed this and many other issues with the new web slinging system, which makes swinging feel more realistic, with split second decisions and easy controls to immerse the player as much as possible. Game developer Insomniac have taken a very different approach regarding the story in Spider-Man PS4. Instead of opting for a young Spider-Man, who is still adapting to his role as a vigilante, the developers have decided to feature an older, more experienced protagonist. In the game, Peter Parker, who is now at college, has been Spider-Man for eight years. By this point in his life, Spider-Man is more confident in his abilities and the overused origin story can be almost completely ignored. This is a welcome break for fans, as almost all the Spider-Man films in the past few years have portrayed a Peter that is only beginning his journey as a superhero, which resulted in stories being told multiple times and becoming stale. At 16, Billy is The London Economic's youngest contributor. Billy is a talented young writer who has undertaken work placements at the UK's largest independent press agency, SWNS. He has published a number of articles on various subjects.